Radmin is a fast and secure remote control software and remote access software, through it, you just sit on the remote computer as before, work on a remote computer, and can access the remote computer from multiple locations. Radmin fully supports Windows Vista (32 and 64), file transfer, multi-user text and voice chat, 256 bit AES Windows security, Kerberos authentication, data encryption, all remote login access, multi monitor support and unique DirectScreenTransfer technology. Radmin uses the existing TCP/IP protocol - the most widely used protocol in LAN, WAN, and the internet. This means that you can access the remote computer anywhere in the world. 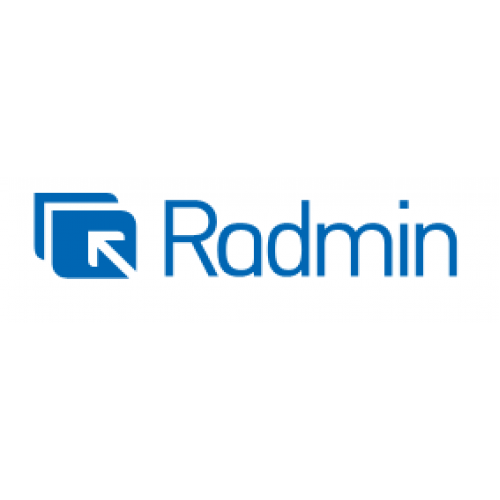 Radmin has been adopted in thousands of enterprise PC around the world. 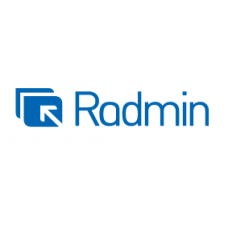 Among our customers, some companies use Radmin as a standard network management application. Radmin is the fastest remote control software that can be used anywhere. The DirectScreenTransfer new technology using video hook kernel mode drivers will capture rate to hundreds of times per second screen update. With its special low bandwidth optimization feature, you can even work with ease of using dial-up modems and GPRS connections. Radmin 3.4 new software supports Intel AMT (active management technology) so that you can even control the remote computer shutdown or you can not start its operating system. With Radmin Viewer, you can open, restart, or turn off the remote computer. The user can also view and change the BIOS settings of the remote computer through it and start from the local CD or disk image file. Radmin 3.4 fully supports Windows 7, 32-bit, and 64-bit, including user account control (UAC) and fast user switching. Radmin Server 3.4 supports both Windows 7/Vista/XP/2008/2003/2000 (32-bit) and Windows 7/Vista/XP/2008/2003 (64-bit) operating systems. Radmin Viewer 3.4 supports both Windows 7/Vista/XP/2008/2003/2000/ME/98/95/NT4.0 (32-bit) and Windows 7/Vista/XP/2008/2003 (64-bit) operating systems. Radmin works with encryption, with all data, screen images, mouse movements, and keyboard signals using the 256- bit AES strong key, and each connection uses a randomly generated key. Radmin user authentication can use either the Windows active directory or the security authentication supported by Kerberos, or its own individual user rights and secure login / password authentication. Radmin security uses Diffie-Hellman based key exchange with key length 2048- bits. In addition, the IP filter restricts access to features, hosts, and networks. Text chat, voice chat, and send messaging patterns are all newly developed features of Radmin version 3, which help you communicate with users operating on a connected remote computer. Radmin is very easy to learn and use. Most of our customers agree that the main advantage of Radmin is simplicity. All of the report interfaces are intuitive, and the programs are very easy to use. Unlike the bloated software (bloatware), Radmin does not have useless "value-added" features that make it difficult to use and difficult to learn or drag on its performance. With Radmin, you can easily drag and drop any files on your remote computer by encrypting them in the Explorer style interface. Radmin has a function when copying files, allowing you to update only different parts of the file on two computers. This function is called Delta Copy because it only copies the differences in files (increment). It allows replication to continue after a network failure, starting from where the fault occurred, not from scratch. This function is automatically used when copying any files from / on the remote computer. Radmin supports multiple simultaneous connections to the same remote screen. This means that you can invite friends or colleagues to watch your screen remote (very suitable meeting), or from your own computer screen view or control some remote screen (very suitable for remote service outsourcing or teaching). Famatech provides free technical support for registered customers through e-mail. Compatible with Windows 7 and Windows Vista multi-user sessions. The Radmin Viewer is compatible with Wine (remote control from the Linux machine). Transmit remote screens with 2, 4, 16, 256, 64K, or 16 million colors. Supports high resolution mode (maximum display resolution without limitation). Full support for animated display and Alfa (alpha-blended) remote computer cursor. Compatible with Radmin Server 2.x. You can display remote screens in windows or full screen, with smooth zoom and raw proportions. The shortcut in the directory record is connected to the desktop listed in the directory record. Special keystroke handling, and optional full keyboard controls. The IP filter only allows access from specific hosts and networks. The DNS name and user name information added to the log file. Five error passwords lead to security delays. Multilingual user interface and built in help. Remote access to PC, anywhere in the system that requires system administration, saves time and money. Remote management network computer. Perform system administration via the internet. Share desktop, hold online report. Most companies with multiple offices need to arrange a network administrator at each location. These administrators are responsible for network operations at each location, fully responsible for what happens to the servers and computers that they manage. They need 24/7 access to their offices, headquarters, and other administrators. With the ability to do your work remotely, you can eliminate travel costs and save manpower and resources. In addition, the ability to instantly change PC and servers is also beneficial to the company's success. With Radmin software, your technical support staff can remotely control any desktop PC anywhere on the LAN, WAN, or the internet. The user in front of the remote computer can talk to the technicians and follow their mouse operations. Radmin can improve the efficiency of your technical support activities. In addition, another factor for business success is instant communication within the enterprise. Various sectors of the business need to hold virtual meetings, discussions, briefings, and other corporate missions without traveling or leaving the workplace. Through Radmin software, all of these tasks can be organized immediately - from online reporting to real-time voice and text chat, without exception. Radmin works in encrypted mode. All data, screen images, mouse actions, and keyboard signals will be encrypted using 256 bit AES encryption, encrypted by randomly generated keys for each connection. Given the highest level of security that Radmin brings, you can rest assured that your enterprise data is secure. Let travel staff access office computers and data. Timely to provide your customers with quality customer support services. Remote administration of large, medium and small networks. Organize online reports and meetings with partner organizations. Radmin is the fastest remote control software that can be used anywhere. With it, you can work on a remote computer just like the keyboard and mouse of the remote computer. Access to remote PC can be established at any location on the local network or on the internet. The highest level of security guarantees secure encryption of all data transmitted by Radmin. Use Radmin to provide employee mobility. Secure access to business e-mail and files from any location. Radmin allows you to enjoy working from home and maintain online and 24/7 support for customers and managing computer flexibility during business trips. Maintenance of end-user computers and servers has always been in operation and substantially improved their productivity. Significantly improve response times and improve the quality of outsourcing services. Speed up problem solving and reduce downtime. Make every computer available at any time and place. Provide technical support to your customers. Text chat Text chat allows users to exch..